The ingredients above are what's used to season the french fries BEFORE baking in the oven. It's from Food.com. 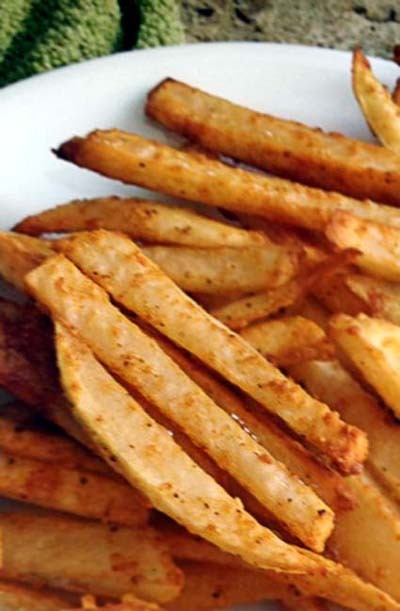 But the preparation to make crispy fries is from the Laura Vitale's video below. Plenty of great tips, notably is the removal of starch before cooking the potatoes.